Happy Tuesday to all. Celebration brings happiness and joy ,this became all though more important when one is accompanied by their love ones. We are going to have a wedding celebration soon in our family and i am all in celebration mood. 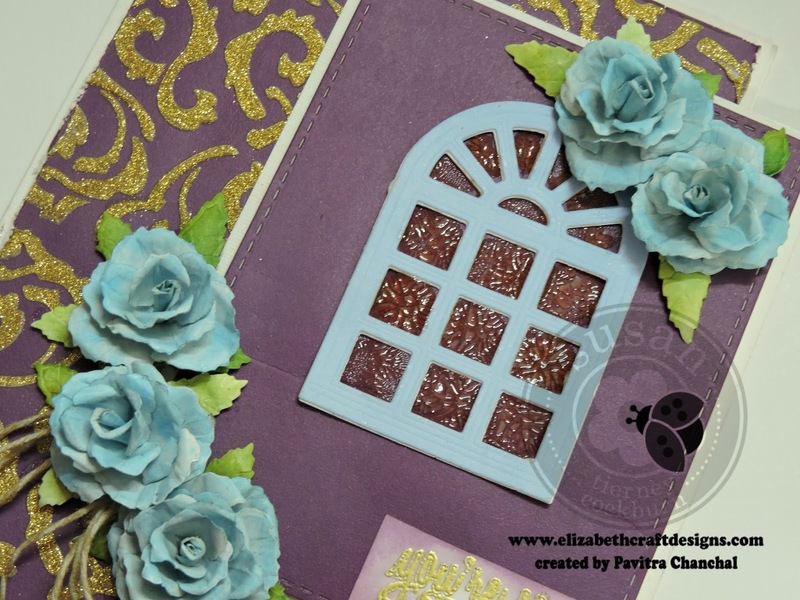 So with this mood i created a sparkling card with gorgeous rose die from Susan's Garden. These are super easy to work with and helps to create look like roses. For the card here , i created a sparkling background and placed my roses against a window panel. Cut white cardstock 16 x 9 , score at 8 and fold. Apply modelling paste through Stencil - Swirly Flouris and immediately cover up with Silk Microfine Glitter Solar Gold.Once dried properly rub the glitters with your finger and it will start sparkling more , that's so much of fun. 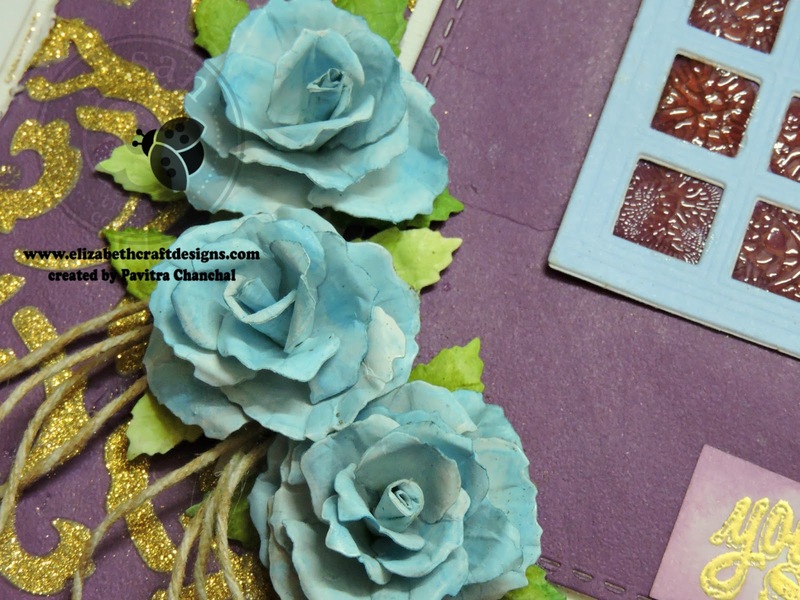 Cut White cardstock 4x5 and Dark Fuchsia Cardstock 3-3/4 x 4-3/4,mat it against white cardstock. 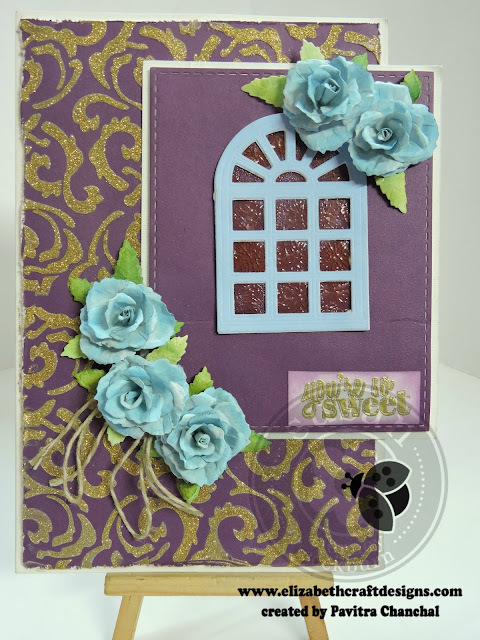 Die cut Soft Finish Cardstock - whisper Blue with Garden Notes - Carolina Window & Shutters die and cut window panel out of it. Place it on top of smaller panel as shown.For the glass effect apply glossy accent crackle (optional). Die cut Soft Finish Cardstock with Garden Notes Rose 3 Die. 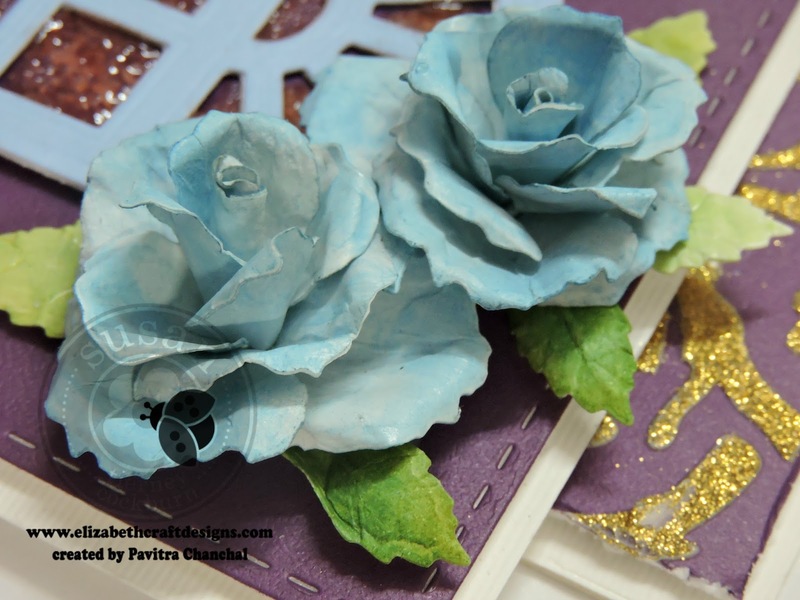 Sponge the flower petals and leaves with distress inks and shape using Susan's Tool and leaf pad. See you till next blog post.